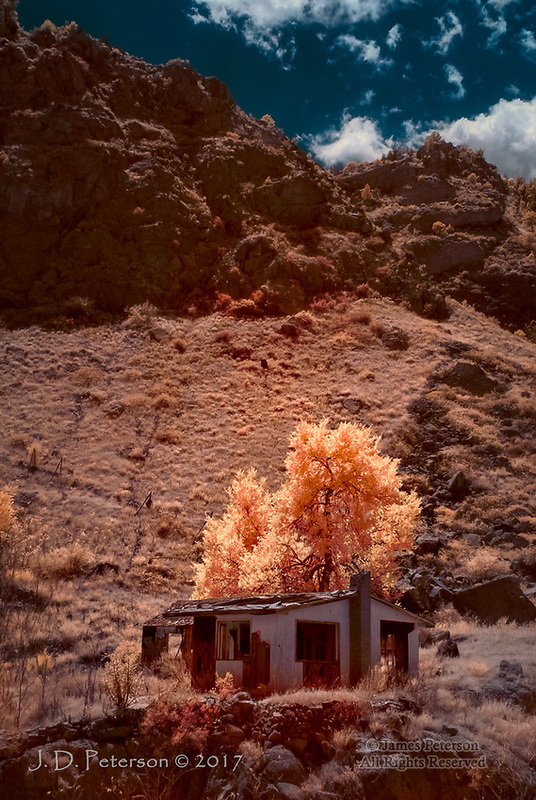 Abandoned Home, Royal Gorge, Colorado (Infrared) ©2017 James D Peterson. I photographed this sad structure while riding the Royal Gorge Route Railroad. What seems particularly remarkable about it is how or why anyone would live at the bottom of a rugged, 1000 foot deep canyon in the first place.